Just a note of clarification for those interested in the subject. The TP/8Piano is not a hammer action keybed. Its actually just a sprung action with a long fulcrum and a dogleg shape. Exactly like the TP/8S. In fact the only real difference between the two is the shape of the keys. That brings up some interesting possibilities. For example, it should be possible to customize this keybed with lighter or heavier springs (and/or weights), if you can find them. It may also be possible to swap out the keys, or perhaps even do a wholesale keybed swap... At least size-wise, any (76 key) TP/8 should fit. So for example my beat-to-hell but still working A-70 could potentially be a donor, as could any of the Kurzweil semi-weighted 76 key keybeds such as the K2500, PC2, etc.. Thank you for clarifying as I am looking into this potential synth. I was going to ask the question if it had piano weighted hammer action, then would it not defeat the purpose of playing the synth section as sometimes one would need to be able to do quick runs (synth leads etc.) without having to play heavy keyes. This answers that concern. I am not a synth junkie and know the fundamentals, however in the synth section with two OSC what is the characteristic of this synth similar to the other prophet lines? Rev 2? or does synth section on this keyboard have its own character? It’s pretty much a digital oscillator version of the REV2 oscillators but with an newly added SuperSaw Wave. I would say the oscillators are there to assist the samples or add flavor to them rather than a stand-alone synth engine. Layering any sample with a Sine Wave is my go too for beefing up sounds. I find the synth engine quite powerful and capable on its own too. Not prophet 12 level, but pretty great on its own. But I agree the combo of samples and synth are what really makes it special. 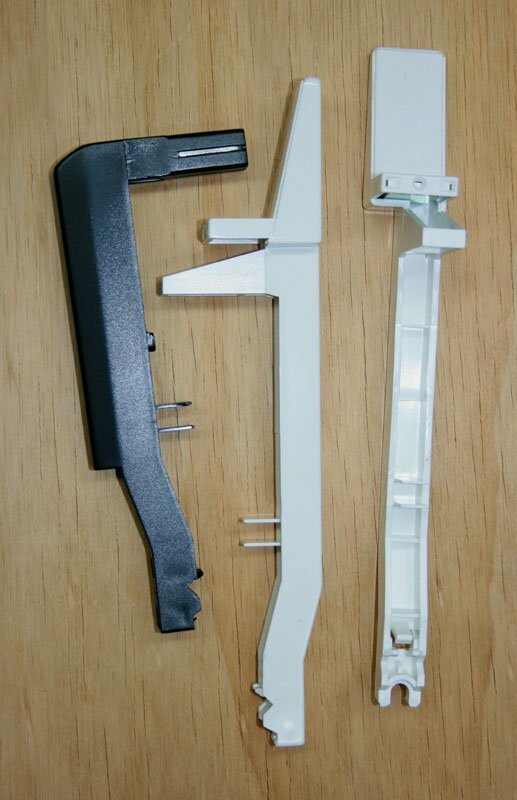 A lot of manufacturers (especially in the high end controller market and midrange synth/workstation/stage piano markets) use heavy spring tension and mislabel the keyboard as semi-weighted, but the difference there is very much like the difference between lifting free weights and a working out on a bowflex. It can be done well, as evidenced by all the really good feeling TP/8 based keybeds out there, but the manufacturer needs to strike the right balance between the actual weights (if any) and the tension of the springs. At any rate, because of the spring tension and weighting questions, we don't know exactly how the PXL keybed feels, and we won't until its out in the wild. Tried out the PXL in Andertons last week. Thought the keybed was awful! Really a major missed opportunity by DSI. I have a Kurzweil Forte with a Fatar TP40L keybed it not the greatest but it’s still way better than the PXL's keybed. My view is it should be a TP40 or better. I think DSI should note Nord's approach to the keybeds used on the Stage 2/3.. The sounds on the PX are worth it! Maybe DSI Sequential will come out with a full 88 using the newish Fatar TP 400w this would totally slay most top end workstations and that weird Dexibel S9 lol! Tried out the PXL in Andertons last week. Thought the keybed was awful! I've had a PXL for about a month now and disagree about the keybed. Yes, it is stiffer than most "synth" or semi-weighted keybeds, but compared to a fully-weighted hammer keyboard, it is quite playable. Piano-style keybeds just feel unnatural to me for synth sounds, but the PXL gets it right while still working well for acoustic piano. The velocity and aftertouch sensitivity is quite good also. I guess Korg, Roland, Kawai, Yamaha and Nord are wrong then. I mean why would anyone want to play an RH3, FA-50, RHIII, GH3, TP40. Etc. Lol! All hammer-action keybeds are a compromise; it's largely a question of where that compromise lies. The E-mu E-Synth / E4K was one of the few sampler keyboards with a 76-key, semi-weighted Fatar TP-8 synth-action keybed; it wasn't the best for piano-type articulation, though one could certainly achieve a decent result with a bit of adjustment. I own a Korg T1, which uses the same keybed as the leaf-sprung*, weighty-weighted Yamaha KX-88 - this works fine for me (Pianoteq and other sample-based instruments notwithstanding), though I'm leaning toward the X (also semi-weighted, though a TP-9S if I recall correctly) as it might be better suited for synth- and drum-oriented playing. We shall see: right now, there are about five or six devices that the Prophet X(L) could replace in one go, which requires that I distill the things I like about those existing units into a single device, which I'm not entirely certain _can_ be done. * - Yeah, I was a DX7 keybed fan too. It looks like there are similar mixed reviews on the Fatar TP/8 piano action. Seems some don't like the spring action, others are fine with it. It looks like there are similar mixed reviews on the Fatar TP/8 piano action. That’s not surprising as the Prophet XL is using the TP8/Piano action, not the TP8/S. I recall Kawai talking about this in regards to their MP11 and MP7 stage pianos. Why are there so many more sounds in the MP7? Because true piano action is terrible for organ, brass, drums etc. Since the PXL has all of those sounds and more it is simply a compromise for a piano player, synth player, organ player etc. The PXL isn’t a dedicated piano and anyone who expects it to be is an idiot. There are plenty of keyboards that aren't dedicated pianos that still opt for a hammer action, though usually non-graded and lighter than a classic piano action. I overwhelmingly prefer the likes of a TP40/L to the TP8/Piano but it's just that: a preference, and something that can reasonably vary from one person to the next. I’d agree, the TP40L on my Kurzweil Forte is an acceptable compromise but it ain’t great for piano. In reality Roland's RD2000 FA-50 is also pretty good as an 'all rounder' but is a much better pianistic keybed, the level of control possible from it is astonishing in comparison to the Fatar TP40L! I’m not disputing that there are many sounds that really don’t benefit from a hammer action keybed. My rig normally consists of a piano keybed and a semi weighted keybed (E.g. Tp9s) for this reason. In the end it’s really about whether you’re a pianist first or not. I’d do a gig without a synth action keyboard but I wouldn’t choose to do it without a piano action keybed. I think Korg's approach with the Kronos range is a good example. They provide the 61, 76 and 88 and also an LS 88. So you can pretty much choose the keybed to match your main needs. For the millions of pianist oriented keyboard players out there PX range should include a quality 88 hammer action keybed - probably a TP40m like the Nord Stage 3. I see keys as a very percussive instrument, but perhaps that's because I come from a background as a drummer... If synth action keybeds weren't cheaper to produce and lighter weight for portability, I think opinions would be drastically different. A lot of folks are just used to playing cheap keybeds on synths. Fully weighted hammer action keys feel vastly more percussive/responsive a thus articulate to my fingers at least. I personally don't see any reason why they wouldn't be preferable in every circumstance as far as performance is concerned. I used the TP8 keybed on a Kurzweil pc3k-76, and it was an awful, springy semiweighted keybed, not a piano-action keybed. Does the XL really use a piano-action keybed? I have a PXL and the action is indeed springy and semi-weighted. It is stiffer than many synth or semi-weighted keybeds. The "awful" part is subjective. I think it works well for piano parts and does not feel unnatural for synth or organ like a true-weighted keybed does. It is very responsive.